NOTE: Australian Plants has been delayed by the publisher, and will not accompany the WSWA Newsletter this quarter. You can expect to receive two issues in the next mailout. 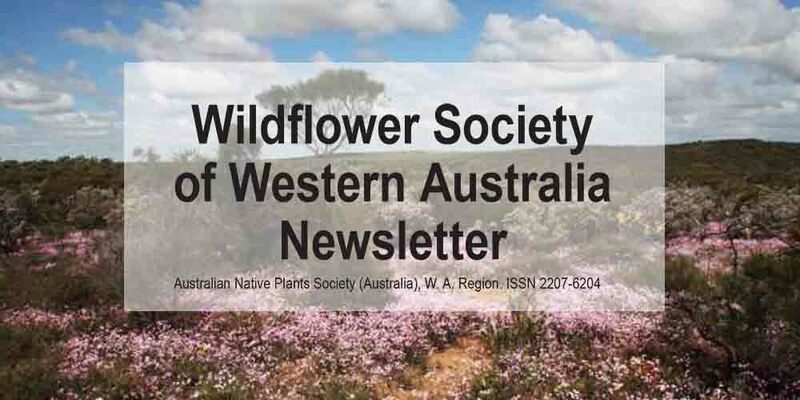 The Wildflower Society of WA newsletter (February 2019, Vol 57 No 1) has now been published electronically. All members are entitled to view and download the electronic newsletter. The printed newsletter should be posted to those who have requested a hard copy (no green discount) in the next several weeks. Front cover: Depot Hill Nature Reserve, Mingenew. A location on ANPSA Conference 2019 Tour 1. Photo Jolanda Keeble.